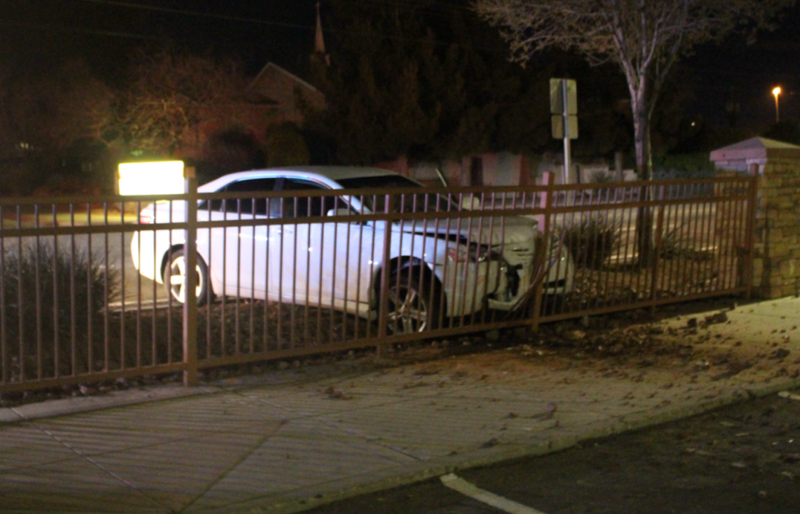 ST. GEORGE – A single car wreck along 100 South by Dixie State University Tuesday night resulted in the arrest of Matthew Powell, 25, for alleged DUI and running from police, among other offenses. 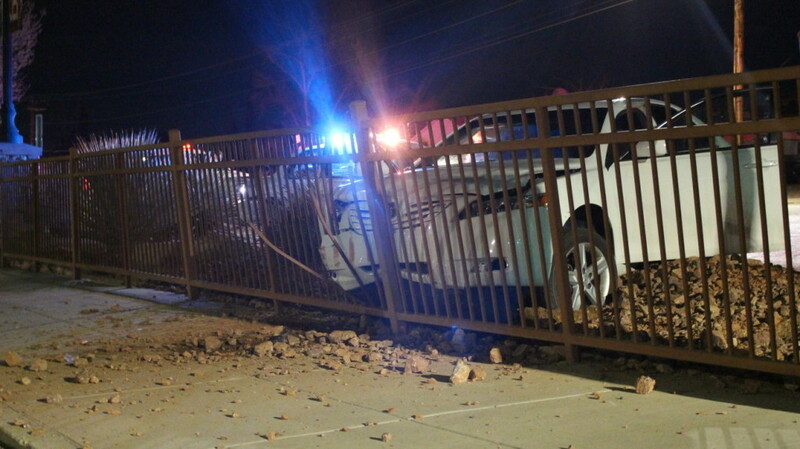 A DSU Police officer was dispatched around 11:30 p.m. to the location of a single-vehicle accident where a car had crashed into the metal fence along 100 South in the area of 800 East. 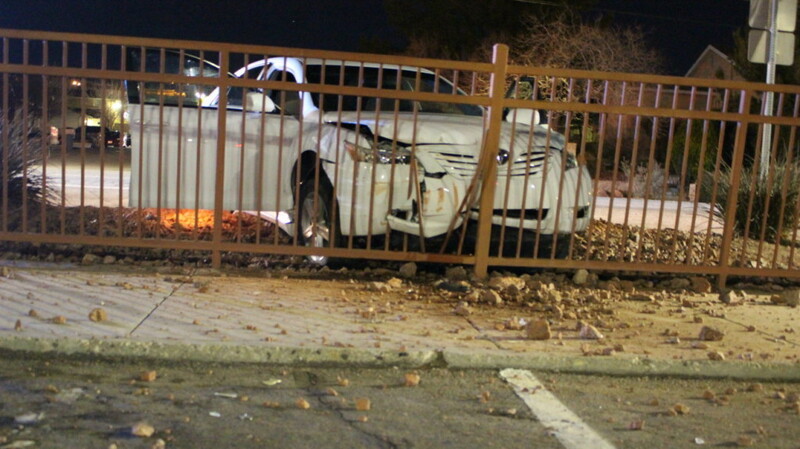 The officer was advised that the driver of a white Toyota passenger car did not stop at two stop sign locations before driving into the fence, according to a probable cause statement. Upon reaching the crash site, the officer observed an adult male identified as the driver running away from the scene. The driver was subsequently located, returned, and told by the DSU officer not to move so he could be interviewed. 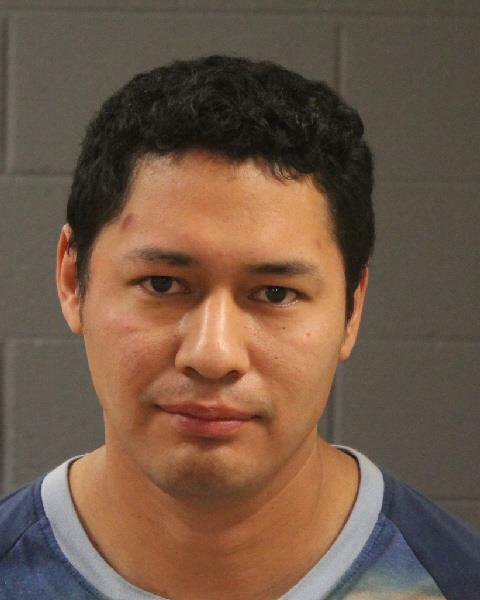 “Moments later, the defendant hopped the fence and began running south through (the) Dixie State Campus,” the DSU officer wrote in the statement. The officer pursued the driver, adding in his report that the suspect could not run straight and was tripping over himself. The driver was caught and detained by police and placed in handcuffs. Two officers were needed to handcuff the suspect due to the man’s swaying, erratic movements and refusal to follow commands, according to the statement. Powell was taken to Dixie Regional Medical Center for medical clearance and then booked into the Washington County Purgatory Correctional Facility on multiple charges. Powell was released from custody after posting bail. Powell was booked on charges of driving under the influence of alcohol, reckless driving, leaving the scene of an accident, possession of drugs and drug paraphernalia, failure to stop when commanded to by police, and interfering with an arrest. 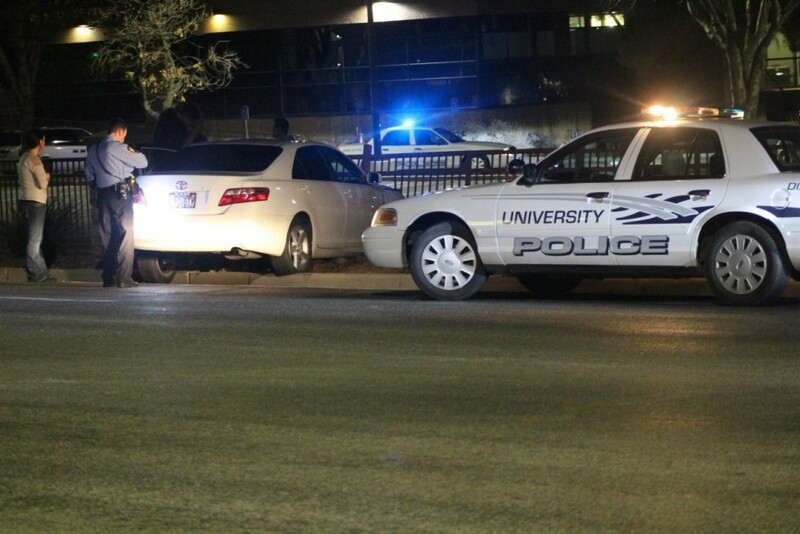 St. George Police also responded and assisted at the scene.